Enduracon™ is committed to the enduring performance of concrete. The company markets fly ash and fibers to precast and ready mix concrete producers. 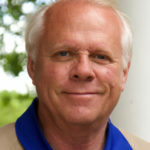 President Larry Nelson is the owner of Enduracon™. He’s been involved with concrete work and special construction projects for almost 40 years. He started out working in his father’s concrete business as a concrete form setter and finisher. He then went on to represent chemical admixture companies before starting Enduracon™ Technologies in 1999. As a concrete contractor, he realized the importance of effectively using chemical admixtures and fly ash to boost economic and concrete performance for his company and customers. Larry regularly challenges concrete industry practices and introduces products that ensure the enduring performance of concrete. Larry is a long-time member of the Aggregate & Ready Mix Association of Minnesota and Minnesota Concrete Council. He actively promotes fibers, fly ash and precast and ready mix concrete. Questions? Email us at Larryn@enduracon.com, call Larry Nelson at 1-800-216-1436. Connect with Larry on LinkedIn.